Acne is a condition that develops due to the skin’s oil glands overproducing oil. Although the sebum is necessary to lubricate the skin, it may get trapped in blocked oil ducts giving rise to pimples. 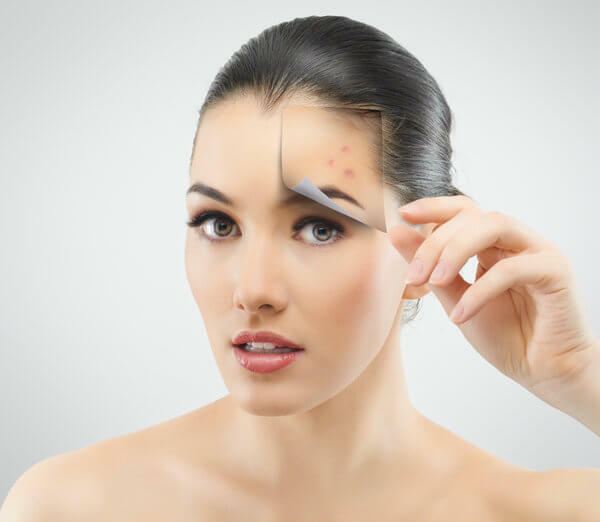 Acne scars develop around these irritated and inflamed areas of the skin during and after the acne process. Acne scars can impact a person psychologically, socially and professionally. Now there is a solution laser skin treatments. The treatments for acne scarring are vast; however, some have more side effects and risks compared to others. Laser skin treatment is one of the most popular and useful non-invasive treatments for acne scarring. The treatment incorporates laser and intense pulsed light (IPL). During treatment, short pulses of micro-fine laser light are administered on the skin reaching deep into the top layer of skin. The light triggers the body’s natural healing process of removing damaged tissue and rebuilding it with new collagen to reveal new skin beneath. The simple procedure can be done in less than forty minutes depending on the patient’s degree of scarring. The number of treatments needed will depend on each individual’s needs. The scars disappear entirely after two months of treatment. The therapy works with the natural structure of the skin tissue. It is safer compared to harsh chemical treatments and surgical procedures. Intense laser treatment can cause swelling, soreness, and dilated blood vessels. All effects disappear on their own in a few hours to a few days. Make regular, consistent visits to a certified, professional and experienced doctor for effective laser skin treatment for acne scars. For more information on laser skin treatments or to schedule a consultation, contact BodyLase at 919-954-2288 (Raleigh) or 919-851-8989 (Cary).